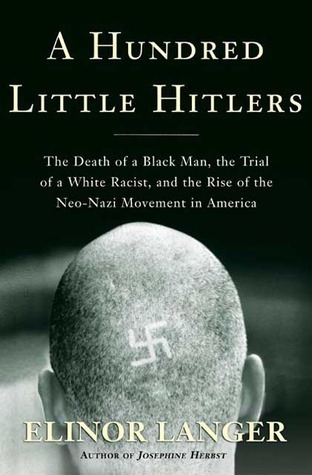 Please join me in a study of the book A Hundred Little Hitlers by our neighbor, the journalist, Elinor Langer. She wrote it to document the rise of violent Neo-Nazis in Portland and our region in the 1980’s. She was interviewed about her book in the recent issue of the Willamette Week that focused on the murder of our neighbor, Ethiopian refugee and PSU student, Mulugeta Seraw in November 1988. She also spoke at the dedication ceremony of the street sign caps commemorating him at SE 31st & Pine. I have five copies of her book to offer and more can be found for under $10 on Amazon. If you want to read the book and join an evening discussion about it at SEUL(3534 SE Main St) please RSVP at socialsculptor@gmail.com. Space is limited.